John Fox BOOTH [Parents] was born in 1854 in , , Oregon. He died on 21 Jan 1928 in Gisela, Gila, Arizona. John married Lovey Campbell BULL about 1871. Lovey Campbell BULL [Parents] was born in Jan 1850 in Ashley, Arkansas. She died on 5 Dec 1927 in Arizona State Hospital, Phoenix, Maricopa, Arizonaz. Lovey married John Fox BOOTH about 1871. Ambrose Carroll BULL was born on 9 Feb 1806 in , Craven, North Carolina. He died on 12 Apr 1890 in Bulls Creek, Mills, Texas. Ambrose married Sarah Jane Kees MAXWELL. Sarah Jane Kees MAXWELL was born in 1809 in Hart, Georgia. She died in 1851 in White, Ashley, Arkansas. Sarah married Ambrose Carroll BULL. F i Lovey Campbell BULL was born in Jan 1850. She died on 5 Dec 1927. Leonard Chapman LASYONE was born on 7 Jan 1922 in , , Louisiana. He died on 18 Jun 1979 in , Sacramento, California. Leonard married Della Mae HUGHES. Della Mae HUGHES [Parents] was born on 14 Jan 1922 in , , Oklahoma. She died on 28 Oct 1987 in , Sacramento, California. Della married Leonard Chapman LASYONE. William J. MONDS was born about 1916 in , , Arkansas. William married Frances Louise HUGHES about 1934. Frances Louise HUGHES [Parents] was born on 4 Aug 1916 in , , Oklahoma. She died on 6 Jun 1988 in Bakersfield, Kern, California. Frances married William J. MONDS about 1934. Betty JONES [Parents] was born in 1733 in , , Virginia. Betty married Drury BOWMAN. Drury BOWMAN [Parents] was born in 1734 in , Henrico, Virginia. She died in 1786 in , , Kentucky. Drury married Betty JONES. John BOWMAN was born about 1690 in , Henrico, Virginia. He died about 1755 in , Chesterfield, Virginia. John married Mary COOK. Mary COOK was born about 1720 in , Henrico, Virginia. She died in 1739. Mary married John BOWMAN. F i Drury BOWMAN was born in 1734. She died in 1786. Daniel BOWMAN was born in 1734 in , Henrico, Virginia. He died in 1829. Joseph BOWMAN was born in 1734 in , Henrico, Virginia. He died in Chesterfield, Chesterfield, Virginia. Obedience BOWMAN was born in 1734 in , Henrico, Virginia. She died in 1824 in , Shelby, Kentucky. Amey BOWMAN was born in 1738 in , Henrico, Virginia. She died in Chesterfield, Chesterfield, Virginia. Priscilla BOWMAN was born in 1738 in , Henrico, Virginia. Sarah BOWMAN was born in 1738 in , Henrico, Virginia. Thomas T. JONES [Parents] was born in 1730 in , King and Queen, Virginia. He died in 1788 in Virginia Beach, Princess Anne, Virginia. Thomas married Mary JONES in 1753 in , Orange, Virginia. Mary JONES [Parents] was born in 1731 in , Surry, Virginia. She died in 1767 in , Anderson, Tennessee. Mary married Thomas T. JONES in 1753 in , Orange, Virginia. Zachariah JONES was born in 1755 in , Orange, Virginia. He died on 7 Jan 1838 in Pratt, Kanawha, West Virginia. M ii James JONES "Sr" was born in Apr 1759. He died on 28 Jan 1841. John JONES was born in 1760 in , Orange, Virginia. F iv Mary Elizabeth JONES was born in 1770. She died in 1860. John JONES "I" [Parents] was born in 1761 in , Mecklenburg, Virginia. He died in 1853 in , Pickens, South Carolina. He was buried in Pickens, Pickens, South Carolina. John married Elizabeth WREN on 25 Dec 1783 in , , Virginia. Elizabeth WREN was born on 27 May 1765. She died in 1850. Elizabeth married John JONES "I" on 25 Dec 1783 in , , Virginia. Edward GRIFFIN was born in 1659 in Flushing, Queens, New York. He died in Jam 1735 in Westchester, New York. Edward married Deborah BARNES in 4 Jam 1678 in Flushing, Queens, New York. Deborah BARNES was born in 1650 in Flushing, Queens, New York. She died in 1736 in Flushing, Queens, New York. Deborah married Edward GRIFFIN in 4 Jam 1678 in Flushing, Queens, New York. F i Mary Margaret GRIFFIN was born on 13 Nov 1702. She died in Dec 1759. John Thomas WEENS was born in 1838 in , , Tennessee. He died in Spanish Fort, Montague, Texas. John married Sirena JACKSON on 27 Sep 1861 in , Lafayette, Arkansas. 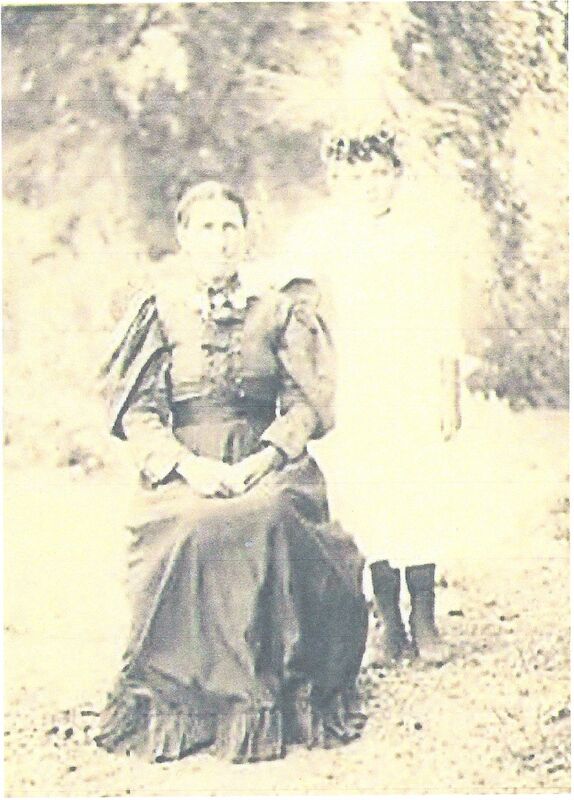 Sirena JACKSON [Parents] was born on 17 Oct 1843 in , , Mississippi. She died on 2 Mar 1913 in , Pontotoc, Oklahoma. Sirena married John Thomas WEENS on 27 Sep 1861 in , Lafayette, Arkansas.